World Veterinary Day is a global professional observance celebrated annually on the last Saturday in April. It was established in 2000 by the World Veterinary Association (WVA). 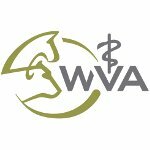 The WVA is an international organization involved in representing the global veterinary profession. It unites international and national veterinary associations, bringing veterinarians from all over the world together. World Veterinary Day (WVD) focuses on promoting the veterinary profession and drawing the attention of the general public and mass media to the significant contribution of veterinaries to the society. Each year, a new theme or message is chosen for the WVD. The WVA member associations and independent veterinary bodies are encouraged to hold activities appropriate to the current year's theme. These activities may include but are not limited to media events, seminars and workshops, education sessions, concerts, parades. In 2008, the WVA in cooperation with the World Organization for Animal Health created the WVD Award. It is aimed at rewarding the most successful promotion of this year's WVD theme and the best celebration of the contribution of the veterinary profession to the benefit of the society.